Testimonials for Moments In Time Photography NZ - Moments In Time Photography, N.Z. Marie-Claire went completely beyond the neccesary to ensure our special day was the best it could be. It was a beautiful day and M-C thankfully captured all those unique moments which I missed myself. 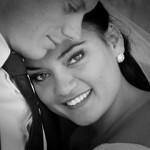 I couldn't have found a more professional, kind and knowledgeable photographer - thank you so so much M-C!